Does your child need help keeping tempo when playing a musical instrument? Need help motivating him or her to keep practising? Let MetroGnome turn keeping tempo into an exciting game! Our cartoon characters and fun sound effects will literally turn metronome training into a child’s play! This interactive metronome app allows your child to pick a musical rhythm from a list of popular tempo options and adjust the number of beats per minute, as well as beats per measure. 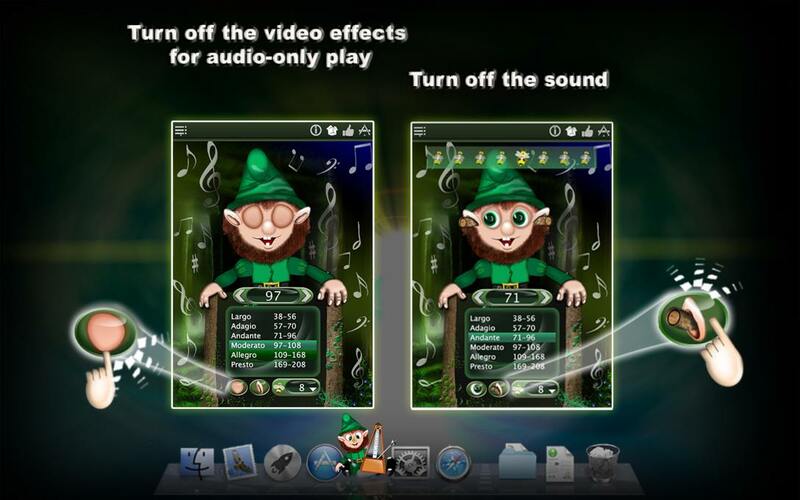 MetroGnome offers both visual and sound effects with retina-support and fullscreen mode to help with your child’s metronome training. A cute gnome moves his eyes to the beat, and a bee lands on his nose with the first beat of each measure. 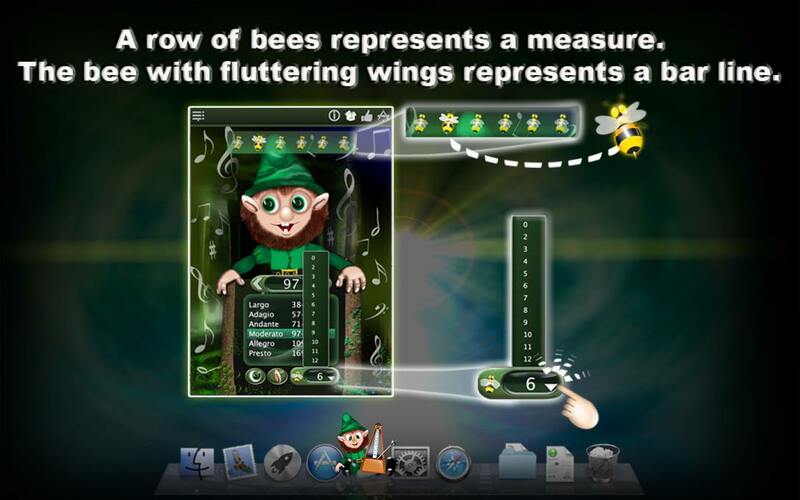 Above the gnome’s head, a row of bees represents a measure, and the bees also follow the beats. The bee with the fluttering wings represents the first beat of the measure. A crystal bell announces the first beat of every measure, and the tick-tock metronome sound counts out the rest of the beats. 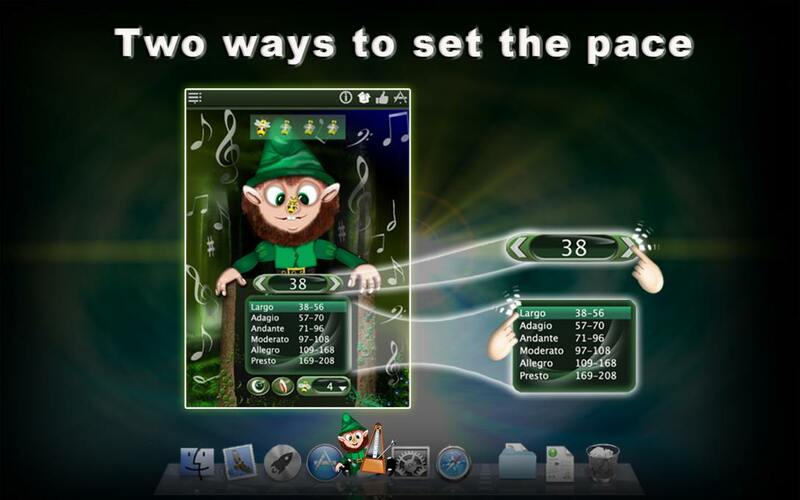 With this metronome software, you can use the visual and sound effects together or separately. If you turn off the visual effects for audio-only play, the gnome will close his eyes and the row of bees will disappear. You can also choose to mute the sound and keep the visual effects on. MetroGnome is tested and approved by kids. It is easy and fun to use, and it makes keeping tempo a lot more exciting! Download MetroGnome now! Or please try our FREE version of Metro Gnome Lite.